“The Wisdom of Crowds” is one of the driving principles of Web 2.0. The idea, explored in James Surowiecki’s influential book, is that decisions made by large numbers of people together are better than decisions that would have been made by any one person or a small group. This principle has powered the wide adoption and success of tools including including Google, collaborative filtering, wikis, and blogs. One common technique, following the Wisdom of Crowds principle, is the use of ratings. The hope and expectation is that by enabling large numbers of people to express their opinion, the best will rise to the top. In recent years, rating techniques have been put into practice in many situations. The learnings from real-life experience have sometimes been counterintuitive and surprising. Many sites including Amazon, Netflix, and Yahoo! 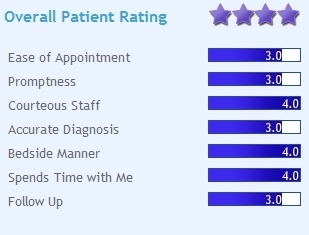 used five-star ratings to rate content, and this pattern became very common. Sites hoped that these ratings would provide rich information about the relative quality of content. Unfortunately, sites discovered that results from the 5-point scale weren’t meaningful. Across a wide range of applications, the majority of people people rated objects a “5” – the average rating across many type of sites is 4.5 and higher. Results from YouTube and data from many Yahoo sites show this distribution pattern. Why don’t star ratings provide the nuanced content quality evaluation that sites hoped for? It turns out that people take the effort to rate primarily things they like. And because rating actions are socially visible, people use ratings to show off what they like. So, is it possible to use scaled ratings effectively? Yes, but there needs to be careful design to make sure that the scale is meaningful, that people are evaluating against clear criteria, and that people have incentive to do fine-grained evaluation. Examples of rating scales with more and less clear criteria can can be found in this Boxes and Arrows article – the image from that article is an example of a detailed scale. There are tradeoffs between complexity of the rating criteria and people’s willingness to fill out the ratings. Another technique to improve the value of scaled ratings is to weight the ratings by frequency and depth of contribution, as in this analysis by Christopher Allen’s game company. This techniques may be useful when there is a relatively large audience whose ratings differ in quality. The simpler “thumbs up” or “like” model, found in Facebook and FriendFeed has taken precedence over star ratings systems. This simpler action can surface quality content, while avoiding the illusory precision of five-star ratings. The vote to promote pattern can be used to surface popular content. This technique can be used in two ways – to highlight popular news (as in Digg) or to surface notable items in a larger repository. Several considerations regarding the “like” action: this sort of rating requires a large enough audience and frequent enough ratings to generate useful results. In smaller communities the information may not be meaningful. Also, the “like” action indicates popularity but not necessarily quality. As seen on Digg and similar sites, the “like” action can highlight the interests of an active minority of nonrepresentative users. Or the pattern can be subject to gaming. Another concern is the mixing of “like” and “bookmark” actions. Twitter has a “favorite” feature that is also the only way for users to bookmark content. So some number of Twitter “favorites” represent the user temporarily saving the content, perhaps because they disagree with it rather than because they like it! Systems that have a “like” feature should clearly differentiate the feature from a “bookmark” or “watch” action. Another technique that sites sometimes use, in the interest of improving quality and reliability, is the rating of people. Transaction sites such as Ebay use “karma” reputation systems to assess seller and buyer reliability, and large sites often use some sort of karma system to incent good behavior and improve signal to noise ratio. The Building Reputation Systems blog has a superb article explaining how Karma is complicated. The simplest versions don’t work at all. “Typical implementations only require a user to click once to rate another user and are therefore prone to abuse.” More subtle designs still have an impact on participant motivations that may or may not be what site organizers expect. “Public karma often encourages competitive behavior in users, which may not be compatible with their motivations. This is most easily seen with leaderboards, but can happen any time karma scores are prominently displayed.” For example, here is one example of karma gaming that affected even in a subtle and well-designed system. When providing ratings capabilities for a community, it is important to consider the motivations of the people in that community. In the Building Reputation blog Randy Farmer talks about various types of egocentricand altruistic motivations. Points systems are often well-designed to support egocentric motivations. But they may not be effective for people who are motivated to share. Adrian Chan draws distinctions between the types of explicit incentives used in computer games, and the more subtle interests found in other sorts of social experiences, online and off. People have shared interests; people are interested in other people. The motivations come not just from the system in which people are taking these actions, but from outside the system – how people feel about each other, how they interact with each other. In a business environment, people want to show off their expertise and don’t want to look stupid in front of their peers and superiors. They may want to maintain a harmonious work environment. Or in a competitive environment, they may want to show up their peers. These motivations affect the ways that people use ratings features as well as how they seek and provide more subtle forms of approval, like responses to questions in a microblogging system. Thomas Vander Wal talks about the importance of social comfort in people’s willingness to participate in social systems, particularly in the enterprise. People need to feel comfortable with the tools, with each other, and with the subject matter. The most risky form of ratings, direct rating of people, typically reduces the level of comfort. Depending on the culture of the organization and the way content rating is used, content rating may feel to participants like encouragement to improve quality, like a disincentive to participation, or like an incentive to social behavior that decreases teamwork. Even with good intentions and thoughtful design, the results may not be as anticipated. In that case, it is important to monitor and iterate. The familiar examples of ratings come from consumer services like Amazon, Netflix, and Facebook, with many millions of users. With audiences as large as Amazon’s, there are multiple people willing to rate fairly obscure content. In smaller communities, such as special interest sites and corporate environments, there are many fewer people: hundreds, thousands, tens of thousands. While the typical rate of participation is much higher – 10-50%, rather than 1-10%, that is still many fewer people. With a smaller population, will there be enough rating activity to be meaningful. If an item has one or two ratings, what does this mean? Smaller communities need to assess whether the level of activity generates useful information. Then, evaluate the results. The use of a rating system should be seen not like a “set and forget” rollout, but as an experiment with goals. Goals may include quantitative measures like the volume of ratings and the effect on overall level of contribution, as well as qualitative measures such as the effectiveness of ratings at highlighting quality content, the effect on people’s perception of the environment, and the effect on the level and feeling of teamwork in an organizational setting. Be prepared to make changes if your initial experiment teaches you things you didn’t expect. The Building Reputation blog, by Randall Farmer and Bryce Glass, is an excellent source of in-depth information on this topic. The blog is a companion to the O’ReillyBuilding Web Reputation Systems. * Designing Social Interfaces book and companion wiki, by Christian Crumlish and Erin Malone. At a panel on social media for music at CitizenSpace last year, with discussion among musicians and passionate fans, musicians talked about their efforts to engage fans using emails about upcoming shows and recordings. But what did the fans want from musicians? Several people mentioned that what they appreciated most was music recommendations from musicians themselves. This rang true to me. I’ve been finding wonderful music just by following musicians on Twitter, and also surfing the last.fm streams of people with distinctive sensibilities. What’s especially cool is that these recommendations are different from the standard marketing recommendations by genre – they aren’t tied to any genre in particular – punk americana musician listens to a series of classical requiems; a steampunk bigband leader listens to instrumentally interesting, intense pop. These recommendations from people work much better for me than the algorithms in Pandora or Apples “genius”. Pandora finds music that has similar instruments, chords, volume, tempo, and other measurable characteristics. But people reveal music with whatever ineffable characteristics I was seeking. Pandora gets the sound and people get the soul. It’s a bit of Silicon Valley heresy, perhaps, to be distrustful of algorithms that find things that are “interesting”. And I think that in some circumstances algorithms can find relevant information. Algorithms may be good in some circumstances, but human filters are great. Fundamentally, I suspect that the interestingness algorithm is Turing-complete – an algorithm that could really predict interestingness would have evolved intelligence and humanity. The assumption that ordinary folk won’t learn filtering is built into designs like Facebook’s news feed. On one tab, a raging stream of every single update; on the other tab, a set of highlights, chosen by Facebook’s algorithm, that is completely opaque and non-configurable to the user – Facebook knows best what is interesting to you. I think the assumption is false, and related to a blind spot in conventional UI design. Nicole Lazzarro observed on Twitter yesterday that “GameDesign builds systems over time. UI/Interaction Design often looks no further than one click ahead.” In games, kids learn very complicated routines step by step. Games don’t present every tool and feature and clue all at once. Instead, they teach things a bit at a time. And it’s not presented as teaching, it’s discovery. Games pose challenges and enable people to discover solutions and gain skills, a bit at a time. I suspect that people can learn, and designers can build ways for people can learn how to filter what they want to pay attention to out of the stream of noise. It will take principles of game design, progressive disclosure and progressive discovery. When I read The Mind of the Talmud the first time around, not long after it was published in the 90s, it was mind-opening and shocking. This readthrough, I found it good and interesting but not shocking. Professor David Kraemer argues that the literary form of the Babylonian Talmud communicates a philosophical approach. The Talmud presents extended arguments without resolution in order to convey the concept that truth is not determinable by people, and that truth can only be approached through a multi-voiced conversation. This rhetoric is a deliberate choice, and a significant contrast to other religious and intellectual traditions. With detailed analysis from his doctoral dissertation, Kraemer shows how this style of extended and unresolved argument evolved over time, with later generations of Talmudic rabbis using features of the style with increasing frequency and intensity. Because of the evolution over time, the style was unlikely to have been invented by the last layer of editing, but the final layer of editing made some of the the most radical choices. In a tradition that privileges earlier voices, Kraemer argues that creative interpretation by later authorities allows them to assert power over earlier layers. Kraemer takes this not uncommon modern reading even further with a more subtle point. The Talmud uses an interpretive approach whereby every small feature of scripture is intended to have one and only one teaching for halacha (Jewish law). To modern ears, this seems absurdly literalist and bizarre. Kraemer argues that this form of interpretation serves to increase the surface area of the text, allowing for more interpretive hooks. Not only that, the Bavli pioneers an interpretive method that draws interpretive conclusions by comparing not only to what the text says but to fanciful things that the Talmud imagines it might have said but doesn’t say. Later layers of Rabbinic scholarship brought structure and system to the body of Jewish law, so it is striking to see Kraemer highlight the built-in contradictions and anti-conclusiveness of the style of the Bavli. The multi-voiced play of argument and interpretation fits nicely with the postmodern tradition, in which there is no single, stable, determinable meaning. When I read The Mind of the Talmud for the first time, I’m not sure how much I noted the connection to the ideology of Conservative moment (the moderate traditionalist strand of Jewish thought and practice). Kraemer is a professor at the Jewish Theological Seminary, the main Rabbinical school for Conservative Judaism. For example, Kraemer uses the story of the Oven of Aknai, a well-known Talmudic story where a voice booms down from heaven to resolve a dispute among Rabbinic sages, and the sages dismiss the voice saying “it is not in heaven” meaning that the right to decide is in human hands. In response, G-d laughs in amused approval, saying “My children have defeated me.” This story is a classic in the homiletic canon of Conservative Judaism, which emphasizes the power of contemporary scholars to interpret the tradition for current circumstances. These selections are homiletic choices. By contrast, Orthodox readings gravitate toward other stories in the tradition that focus on acceptance of the yoke of heaven without question, the value of obedience to authority, the ideology that each generation is further away from divine revelation and wisdom. Selecting homiletic choices out of a vast corpus of source text is itself a traditional thing to do regardless of ideology. I noticed Kraemer’s homiletic defense of Conservative arguments even more strongly in Kraemer’s later book, Reading the Rabbis, where he does closer literary readings of specific texts in the Talmud and shows how the literary forms and techniques are used to undermine seemingly conventional ideas. In that book, though the technique is subtle, the familiar selections and conclusions uphold common tenets of Conservative Judaism. In both books, Kraemer’s theology is radical, but he shows no radical leanings in categorization or practice. This stance is influenced by Kraemer’s reading of tradition, where one can hold wild and fantastic ideas as long as one remains within the ideological and ritual bounds of the community. Kraemer’s ideas of undecidability and interpretive play are from the postmodern tradition. Still, his writing style is scholarly straight argument and linear prose. He doesn’t succumb to the postmodern temptation to engage in filligreed interpretation and self-consciously playful writing. For this, one can to turn to Marc-Alain Ouaknin’s “The Burnt Book”, which draws on Derrida, Blanchot, Jabès, Neher, and Levinas. For more pointed and less conventional theological readings, check out the work of Prof. Aryeh Cohen, who uses close readings and postmodern approach to draw interesting inferences about the theology of exile and other topics. Disclosure, Aryeh is also a friend. Kraemer’s argument sounded shockingly radical when it came out; now the dissonances are notable and pleasing. Yet the perspective and methods of postmodern Talmud scholarship are still fairly obscure in contemporary discourse. Conventional rhetoric is still classical – one build a logical case toward a single conclusion, using counter-arguments to bolster the case for one’s preferred approach. It is still strange to counterpose multiple voices, and to synthesize an approach composed of not-fully-resolved arguments among the approaches and positions. in a networked world with public conversational practice, and where people are sometimes tempted to remember the conversations, the rhetorical choices of the Talmud’s editors have renewed salience. When we attempt to condense discussion in forums, Twitter threads and perhaps Google Buzz and Wave, how much of the individual voices and arguments will we preserve? I suspect there are lessons to learn from the modes of Talmudic rhetoric. I strongly recommend The Mind of the Talmud to anyone interested in Jewish thought, postmodernism, and/or premodern sources of inspiration for contemporary hypertext. If I know you in person I may have already recommended it to you. This book is not an introduction to the Talmud – try The Essential Talmud by R. Adin Steinsaltz for a traditional-flavored good introductory text. The book presumes some knowledge of Jewish text and thought, though I suspect that it is readable by someone with interest and Wikipedia. Chapters 2 and 3, in which Kraemer uses statistical analysis to show that the rhetoric of the talmud isn’t merely an invention of its editors, is persuasive but quite dry; the interpretive and argumentative heart of the book is in Chapters 4-7. The book is also rather expensive, but one can get somewhat cheaper copies used, and there is inventory online. If you have read it (or if you go read it now), I’d love comments and discussion. Buzz is obviously a work in progress. This is troubling to some but doesn’t bother me. I don’t mind that they released it without key features and are going to iterate as they go. If anything I think it’s a strength. Software in general, and social tools in particular, benefit from the developers learning and improving from adoption and use. Buzz is being designed around social web standards. I love love love this, because standards based systems are the right approach in the long term to enable personal control over one’s data, social arrangement of social context, and organizational variation of types of experience. If standards take hold, it will be possible to create alternatives to Google’s tools. The alternative is a world where one key vendor (e.g. Facebook) owns your data, arranges and controls social context, and controls constituent experience for organizations beholden to it. Buzz looks and feels like a conversation. It’s a lot more intuitive than Wave, which has the mindwarping capability for people to go back and change somebody’s past words in a conversation thread, and builds in the bizarre expectation that people will understand historical conversations by replaying them verbatim. Buzz is just a regular comment thread, and the social convention is a good thing, thank you. That said, Buzz is immature. It desperately needs filtering. Without it, Buzz feels like the internet is cascading into one’s consciousness. This is a hard and as-yet-unsolved design problem, to make filtering that people can learn to use. FriendFeed succeeded only for users with geeky tendencies. Facebook is so far failing badly – its news feed switches between useless firehose mode and too-smart-for-its-own-good algorithm mode that picks posts out of the stream for mysterious reasons its homunculus knows and you the reader can’t figure out or control. And its lists are too hard to set up for social filtering, and still not powerful enough. By default, Google puts Buzz replies into email, which is way to much. It’s possible to turn this off but should be a lot easier. Buzz is starting with the ability to import content from only a few services. One of the strengths of FriendFeed was the ability to import from a wide variety of services – music, movies, bookmarks, reviews, and more. Then, FriendFeed could serve as a common place to discuss aggregated references. Without the breadth, it opens the door for speculation that Google is paying lip service to open-ness but really wanting to only promote its own services. My guess is that Google really does strategically want the openness, since they have more to gain by expanding the footprint for search and advertising. I look forward to seeing and using those choices. The worst flaw is social. Buzz recapitulates the weakness in many of Google’s social tool experiments – a weakness in social model. Buzz attempts to jumpstart the network effect by auto-following people who happen to be email contacts, which feels weird random – inbox contacts are rather accidental, compared to other deliberately grown social networks. So far, Buzz lacks the ability to bulk-invite people from other social networks (Twitter, Facebook, other). The lack of import on Day 1 may be smart or lucky to avoid perceived spam, but will be useful, especially once filtering is better. What would be cool would be to allow the import and immediate filtering of Facebook and Twitter lists. And then to enable the setup of lists and groups to visualize and share social contexts. I like Buzz, think it has potential, and hope it matures to be useful. It has a lot of the strengths of FriendFeed, plus hopefully the cash and patience to iterate until it’s good. And if it is good and gains market share, the traction of standards will enable a better ecosystem and alternatives too.